Who is your Pastor, and what do you believe to be His will, His purpose? Wow. I mean, WOW! What am I supposed to do now?? God doesn’t reside in buildings of men. God resides in the hearts and minds of His people. If you worship in a megachurch, small church or home service it doesn’t matter. There is coming a time in the USA where there will be no open worship. God must be first in your life. How and where you worship is secondary. Pray without ceasing, in all aspects of your life, not just one day a week. Worship God with your entire life not just one day at a building. God bless. Wow…. great message for EVERYONE. Francis Chan made a great point by asking ” Does your church stop the gates of Hell?” That was the beginning of my deeper study. The Most High knows the law was too difficult for man because he deviates by desire, thus sending his son to do the very same law and tells him do not add or take away from the law because it is easier than observing added traditions. Francis, don’t be afraid and don’t stop! We who have ears to hear bear witness with the Spirit of God in you declaring the gospel of salvation by faith that begins with repentance from sin. We stand with you as you stand for the truth. 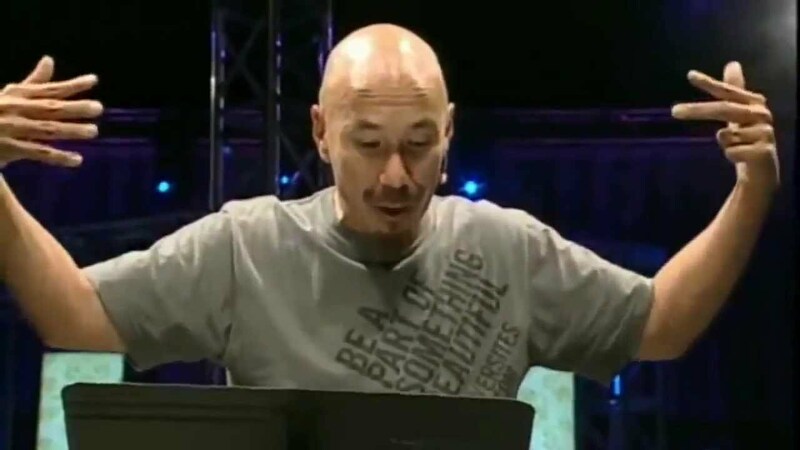 Hello I was wondering what bible that Mr. Francis Chan using? That was AMAZING. Thank you for taking on such a difficult topic and treating it with personal transparency as well as humor. God bless you, sir! THAT WAS A BEAUTIFUL WORD BROTHER, KEEP PREACHING AND TEACHING THIS..
No one can come to Me unless the Father who sent Me draws him, and I will raise him up at the last day. Yet there are some of you who do not believe.” For Jesus had known from the beginning which of them did not believe and who would betray him.He went on to say, “This is why I told you that no one can come to me unless the Father has enabled them.” From this time many of his disciples turned back and no longer followed him.